Attorney Bandazian joined Borofsky, Amodeo-Vickery & Bandazian, P.A. after graduating from Boston College Law School in 1985. In 1990, he became a Shareholder. Since joining the firm, his practice has been focused on Personal Injury, Workers’ Compensation and Social Security Disability claims. 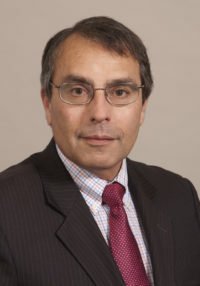 He also maintains a general practice that includes the areas of Land Use, Small Business, Administrative and Probate Law.Prior to attending law school, Attorney Bandazian was employed for five years at the Department of Microbiology & Molecular Genetics at Harvard Medical School, where he pursued an interest in medical research. His background in medical science has been valuable in analyzing medical-legal and technology-related issues that arise as part of the firm’s litigation practice. Attorney Bandazian is a past-Chairman of the New Hampshire Bar Association Workers’ Compensation Section. He also served as a Panel Member for the December 2012 New Hampshire Workers’ Compensation Appeals Board continuing legal education seminar and was on the faculty for a past New Hampshire Association for Justice Workers’ Compensation seminar, at which he spoke on the subject of third party personal injury claims. Attorney Bandazian’s community service includes: Bedford Town Council, Bedford Energy Commission, Bedford Community Television Board, Bedford School Board liaison, Bedford Planning Board, The Educational Farm at Joppa Hill (Board of Directors and President) and the Bedford Education Foundation (Board of Directors). To request your initial consultation, complete and submit the form on this page, contact us by email, or call 603 625-6441 to schedule your consultation with a knowledgeable attorney.